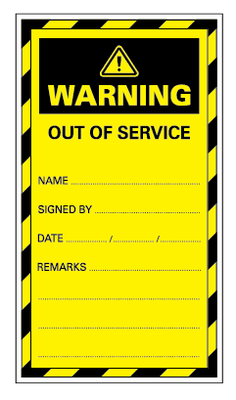 An out of service tag is a notice that distinguishes electrical equipment that is out of operation for repairs or alteration, or electrical plant that is still being installed or commissioned. While an out of service tag is attached to an electrical plant it must not be operated. They are adhesive backed.